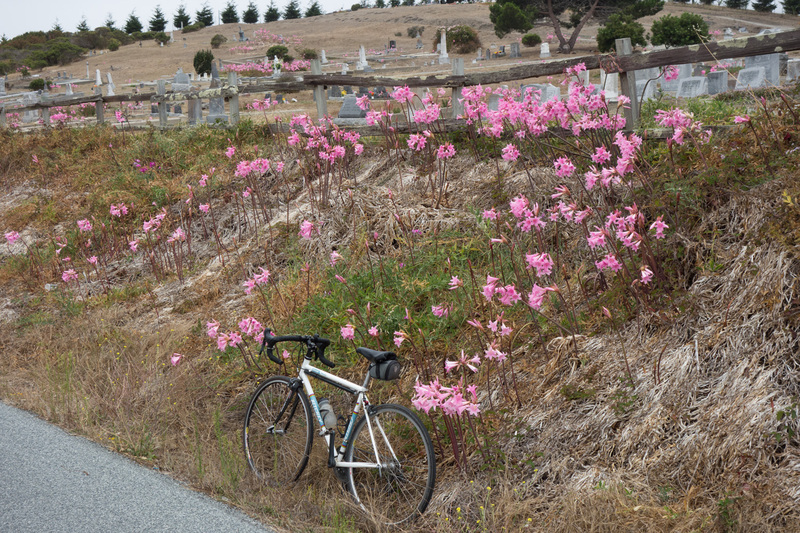 Pescadero cemetery. Amaryllis belladonna is named after the Greek beauty Amaryllis and bella donna which means beautiful lady in Italian. This is my second long ride on a Friday and I’m beginning to believe it’s the lightest traffic day in the Santa Cruz Mountains. Of course, the drawback is fighting morning traffic in Silicon Valley with a 7:30 a.m. departure. It gives me a chance to see how most people live. I’m not liking what I’m seeing at the intersection of Homestead Road and Bernardo Avenue. Parents jam up the intersection turning right from Homestead, which blocks the bike lane for at least eight car lengths. I’d never want my children to ride to Cupertino Middle School on Bernardo. On top of that, there’s no bike lane on Bernardo. Who wants their children to ride a bike to school? That’s what I figured. Nobody, and I can’t blame them. But I digress. Once I got onto Moody Road, things got better. 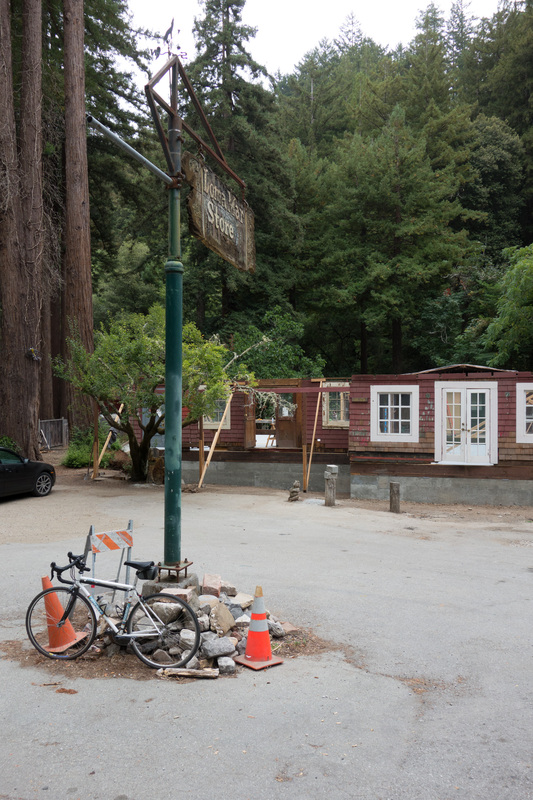 It was clear sailing the rest of the way until Old La Honda Road, where quite a few motorists braved the drive up to Skyline. That’s what happens when Hwy 84 closes from a downed tree. In addition to no traffic, the weather couldn’t have been better. High clouds and temps in the 60s. There might be one benefit from the drought. I’ve never seen so many belladonna flowers. Bellissimo! Loma Mar store. It’s going to be a while before it’s finished. They also need a new sign. This entry was posted on August 21, 2015 at 3:51 pm and is filed under Ride reports. You can follow any responses to this entry through the RSS 2.0 feed. You can leave a response, or trackback from your own site.